Pay your bill, view your usage and much more by clicking the banner below to our customer portal! **Please Note** Only click below if you are using a desktop computer or a laptop. If you are using a smartphone or any other mobile device, please download our mobile app by searching for “LL&P” in the Google Play Store or the App Store. Lately, you may have noticed some road construction down Riverside Dr. near the LL&P office. Please see the attachment below to view when and where the road closures will occur. We thank you for your patience and understanding. 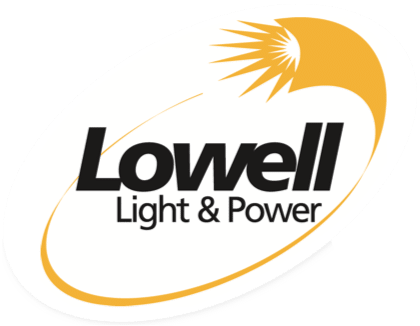 Lowell Light & Power Celebrates Public Power Week! http://lowell-light.org/wp-content/uploads/2017/05/lowell-light-and-power.png 0 0 Nicole Schulte http://lowell-light.org/wp-content/uploads/2017/05/lowell-light-and-power.png Nicole Schulte2018-10-05 16:21:252019-04-10 16:36:27Lowell Light & Power Celebrates Public Power Week! Natural Gas & Electric Service Workers Appreciation Week! If you see our linemen out and about this week, please thank them for their dedication and service that they provide for our city! http://lowell-light.org/wp-content/uploads/2017/05/lowell-light-and-power.png 0 0 Nicole Schulte http://lowell-light.org/wp-content/uploads/2017/05/lowell-light-and-power.png Nicole Schulte2018-04-09 15:54:302019-04-03 12:17:01Natural Gas & Electric Service Workers Appreciation Week! New Recycling Program at LL&P! http://lowell-light.org/wp-content/uploads/2017/05/lowell-light-and-power.png 0 0 Nicole Schulte http://lowell-light.org/wp-content/uploads/2017/05/lowell-light-and-power.png Nicole Schulte2017-08-09 18:31:512019-04-03 12:17:16New Recycling Program at LL&P! You can call (877) 830-0680 to make an automated payment towards your account. You will need your account number to process the payment. If you don’t know your account number, you can call our office and we can provide you with this information. Meetings are held at 6:00 PM in the upstairs conference room at the Lowell Light & Power office. Click here for directions.